Race Directors, we salute you! Your countless hours, late nights, early mornings, detailed spreadsheets, and zip ties galore all go towards making memories, building community and improving the lives of runners around the country. The BibRave 100 is about celebrating the best of the best races in America, and helping all races learn from the people who are doing it right. Our Race Director Central is stocked with helpful insights and best practices about ways to enhance your race experience. The landscape is ever changing, especially when it comes to race day technology, and this is an opportunity to evolve, tweak, and learn from the best. In its second year, The BibRave 100 has become a go-to resource for runners looking to find their next race goal or add additional races to their bucket list. As the Definitive List of the Best Races in America, the list first solicits runner nominations for the Top Marathons, Half Marathons, 10Ks, and 5Ks and then gathers votes from runners and the running industry to ultimately rank the top races in each category. This whitepaper will provide insights into some of the key trends that came out of the 2018 list. Learn what made these races rise to the top in the runners’ eyes, earning them a coveted spot among The Best Races in America. Over and over, from the 2017 list into the 2018 list, runners praised races’ communities - volunteers and spectators - that support these races and make them great. Especially for the longer distances - Half Marathon and Marathon - where participants pass through multiple towns or neighborhoods, runners need that on-course support and energy to provide a gratifying race-day experience. Runners love the excitement, enthusiasm, and support of great volunteers who take pride in a well-run aid station and enthusiastically cheer on runners as they pass through. Runners also called out races where local neighborhood residents have set-up their own aid stations with water, fruit, maybe even beer (at Rock ‘n’ Roll San Diego) or a piano (Missoula). Races that have special aid stations, music stations (Big Sur) or cheer stations (Eau Claire BluGold Mile) also received effusive praise from runners. The success of every race event depends on the buy-in and full support of local communities and neighborhoods. Investing in those local relationships is key to putting on a great event, not only for local runners, but also for those visiting from out-of-town who view the race as a reflection of the city. Another exciting trend has been seeing smaller races compete with larger races by providing the “feel” of a big race with the convenience of a smaller field. Though often operating with fewer resources, smaller races have risen to the top (Urban Bourbon Half Marathon presented by Jim Beam, Eau Claire Half Marathon, Missoula Marathon) by treating their runners like royalty, providing seamless race weekend execution from expo to on-course, and (as noted above) bringing out the whole community to make runners feel like celebrities. The smaller events that topped out The BibRave 100 in 2017 and 2018 clearly obsess over the details and every event should take note... because runners do!! Another trend from 2017 to 2018 was the consistency in the Top 5 Marathons, with four out of the five staying consistent from 2017 to 2018. In fact, the entire list of Top 20 Marathons saw less change than the other categories from year to year, with only 30% turnover. Additionally, there was a trickle down effect from the Top Marathons into the Top Half Marathon list. Three of the new Top 20 Half Marathons were sister races with events listed on the 2017 Top Marathon portion of The BibRave 100. 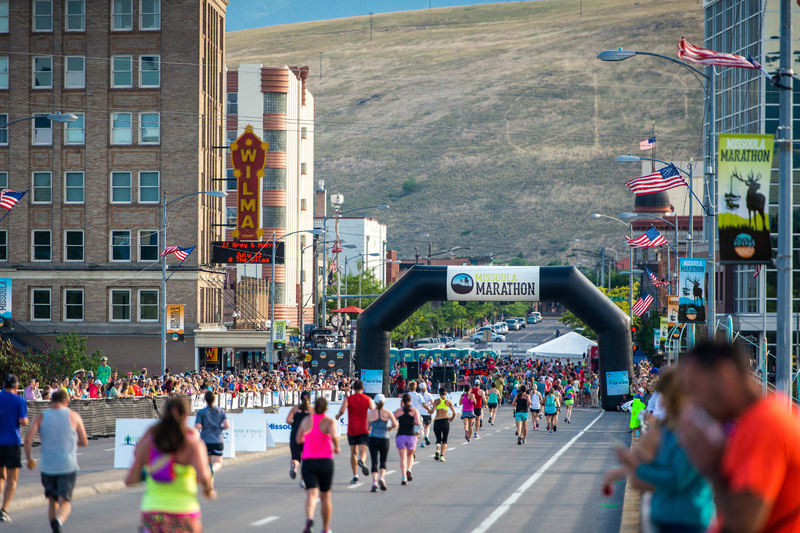 The Detroit Free Press/Chemical Bank Marathon, Grandma’s Marathon, and Missoula Marathon - all members of the 2017 Best Marathons list - saw their Half Marathon counterparts make an appearance on the 2018 list of The Best Marathons. We also saw tandem success in 2018 for the Half Marathon, 10K and 5K lists. For example, the Toyota Rock ‘n’ Roll Las Vegas Half Marathon’s success also fed into that event’s 10K making The BibRave 100, as did the Sedona Half Marathon and 10K, and the OneAmerica 500 Festival Mini-Marathon and 5K. Perfecting a race experience across multiple distances in a weekend is no easy task. Race weekends have offered multiple distances for years, but with the rise of challenge medals and other multi-race incentives, more and more runners are tackling more than one race in a weekend. It’s exciting to see event directors who can pull off this magic trick not once, but multiple times in a given weekend! 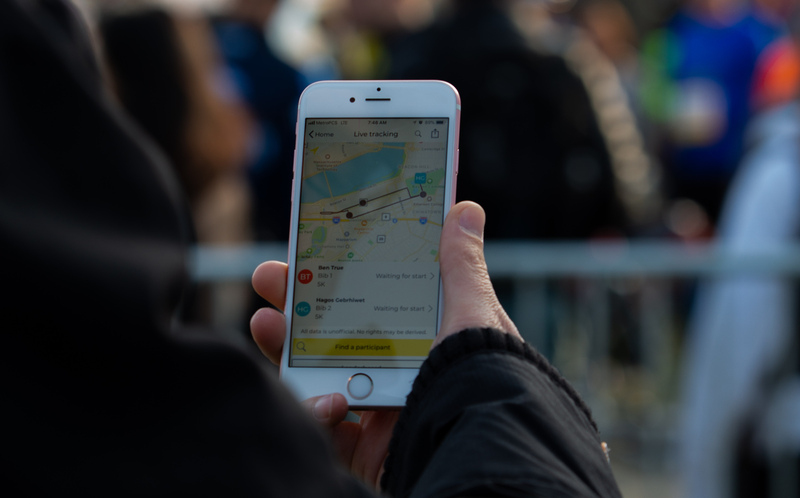 And speaking of Marathons and Half Marathons, a well-designed and detailed event app has revolutionized the race day experience for runners and their loved ones, who are tracking and spectating runners throughout the 13.1-mile or 26.2-mile distance. Out of all the runners that nominated races to The BibRave 100 and cited “Awesome Race Day App” as a reason, 98% of those nominations were for the Half Marathon or Marathon distance. Additionally, every MYLAPS EventApp partner race on The BibRave 100 Marathon or Half Marathon list was featured in that nomination, making up over half of all nominations. One of the most notable trends in The BibRave 100 is that from 2017 to 2018 the three most nominated categories for “What Makes This Race Great” remained the same. All three categories outpaced the remaining 15 categories by over 50%. These categories are: Awesome Medals and Bling, Beautiful On-Course Scenery, and Exceptional Race Management. Beautiful On-Course Scenery edged out Awesome Medals and Bling as the most nominated category, which is not surprising given some of the races on The BibRave 100. Not only was this the second year in a row that Beautiful On-Course Scenery was selected as a Top reason for “What Makes This Race Great,” but it consistently showed up in the personal runner notes when nominating races for The BibRave 100. “Scenery” encompassed everything from beautiful ocean/lake/river views to fall foliage, idyllic mountain backdrops, and impressive urban skylines. Runners are clearly expanding their definitions of what makes for “beautiful scenery,” thus creating opportunity for creative races to highlight some less-obvious scenic assets. But while “beautiful scenery” of many kinds was a recurring theme in runner nominations, water (specifically running over bridges) trumped them all. Not surprisingly, humans have developed a fascination with running by the water and running over bridges! 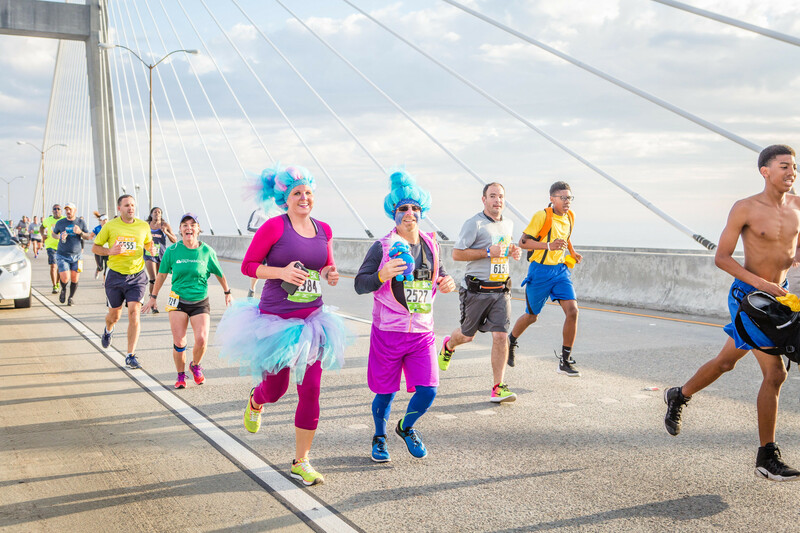 The Enmarket Savannah Bridge Run and the Cooper River Bridge Run clearly feature a bridge in their name, the Detroit Free Press/Chemical Bank Marathon’s highlights one HUGE international bridge crossing, and the Eau Claire Half Marathon traverses 11 bridges. Runners love and appreciate the unique views and vantage points that only come from running across water!! And let’s not forget the TCS New York City Marathon, which features some of the most iconic bridge crossings in the country. Runners love and appreciate the unique views and vantage points that only come from running across water!! There are dozens of other races that feature oceanside or lakeside views, and a few also featured post-race oceanside parties, such as Rock ‘n’ Roll San Diego and the Los Angeles Marathon. All of these races are clearly making a splash. Women continue to dominate the sport of running, making up 59% of race participants in 2017. The women-centric races that rose to the top in 2018 had one thing in common - full weekend experiences that nailed all the details. This year the ZOOMA race series dominated with two races making the list for the Half Marathon and 5K distance - Florida and Texas (Austin). Their events turn the expo into an event in and of itself, and the weekend activities include wine, yoga sessions, massages, shopping, and gourmet food. Everywhere you turn, there’s primping, pampering, and perks! The Her Madison Half Marathon and the Freihofer’s Run for Women 5K both made the list for the second year in a row. Her Madison also provides multiple weekend events with cocktails and yoga, and Freihofer’s is going on 40 years of celebrating women’s running of all abilities, from US National 5K Championship contenders to the everyday runner. A recurring theme for all races, but especially to reach the growing field of women runners, is that details matter, and the races who overdeliver are leaving their mark. As the number of races and race participants plateaus to a sustainable level after years of aggressive growth followed by a moderate decline, it’s more important than ever for races to truly stand out from the crowd. Races nominated and voted to The BibRave 100 have focused on highlighting and involving every piece of their local community, delivering beautiful views, and obsessing over the details. Great race-day ops, apps, expos and finish parties are now “table stakes” or a baseline of what runners expect. Races on The BibRave 100 have gone the extra mile to deliver a unique and truly remarkable race experience.